M.H.Sc. (Herbal Med), B.Ed., ND., Adv.Dip.Hom. Kathy is a well-known Sydney Naturopath, Nutritionist, Western Medical Herbalist, and Homoeopath. She works with patients with a wide variety of complaints, from acute colds and flu to serious and chronic diseases, including allergies, gastrointestinal symptoms, menstrual or menopausal problems, men’s health, cardiovascular issues, autoimmune diseases. Kathy is a trained Fertility Management Counsellor and works with couples who are having difficulty conceiving. She also loves to guide people towards optimum health, especially babies and children. An important aspect of this is what we feed our bodies and how we interact around food as a family. Kathy has been in clinical practice in Sydney for well over two decades. She has lectured and clinically supervised Naturopathic degree students at all major Sydney universities and colleges and is a speaker and published author. She is a contributor to the major Naturopathic textbook Clinical Naturopathic Medicine edited by Leah Hechtman. During her early years in practice, Kathy’s particular interests led to extra study in the complex field of female hormones. She ran classes for women to help them cope with the changes during their peri-menopausal years and in 2002 authored a book for practitioners: Managing Menopause Naturally – A Comprehensive Clinician’s Manual. The happy menopausal patients brought along their daughters, sons and grandchildren which led to Kathy to study and qualify as a counselor in Natural Fertility Management. Over the past decade, Kathy has seen an increase in the numbers of people presenting with various autoimmune disorders, such as Graves’ disease and Crohn’s disease, which has led to further study in the gastrointestinal microbiome, epigenetics, methylation and organic acids. She has undertaken considerable extra training in cutting edge functional testing and utilises uBiome, GI-MAP, ImuPro, Nutripath, Histopath, Doctor’s Data, Research Nutrition, Great Plains, Genova, Opus 23 and others as required. See Functional Testing below for more details. Kathy takes a comprehensive history of your health, past and present, as well as finding out what you eat and drink, your activities, your medications and supplements. This takes 45-60 minutes for adults. The remainder of the 90 minutes allocated will be spent preparing your first phase of treatment, and ordering any tests that are deemed necessary. * uBiome Gut Explorer (https://ubiome.com/consumer/explorer/) for understanding the levels of “good, bad and ugly” bacteria in the microbiome. Kits can be ordered on-line or WMC keeps in stock. Stool sample is sent to USA by International Express post. * GI-MAP test through Diagnostic Solutions (https://www.diagnosticsolutionslab.com/resource-library/) Now available through Nutripath in Australia, called Complete Microbiome Mapping. This is the most advanced test option to identify gut bacteria, parasites, viruses, yeast infections, pathogens that are commonly found in auto-immune diseases plus other markers of digestion and gut health. * Organic acid test (OAT) (https://practitioner.researchnutrition.com.au) for a snapshot of what is happening inside gut, brain, adrenals, and liver cells. Alternately a Dutch Complete plus Cortisol Awakening Response (https://practitioner.researchnutrition.com.au/functional-tests/dutch-plus/) Test is ordered on-line by Kathy, urine samples are collected in the privacy of your own home and posted. * SIBO breath test (https://sibotest.com/pages/index). The most accurate test for methane and/or hydrogen dominant SIBO. Test is ordered on-line through Kathy. Breath tests are collected in the privacy of your home and posted. * Full thyroid co-factors profile including iodine, selenium and tyrosine. Test is ordered on-line through Kathy, urine sample is posted. * Comprehensive cardiovascular profile including methylation genes, histamine, homocysteine, inflammation profile, cholesterol, liposcan, lipoproteins A & B. Test is ordered on-line by Kathy. Blood sample is collected by Laverty pathology, centrifuged then posted. * Food allergy and sensitivity assessments of blood IgE or IgG (http://imupro.com.au). Test kits are available from Kathy. Take to Laverty pathology who will centrifuge your blood sample, you then post to ImuPro who send to Germany. In her earlier life she was a school teacher and grew up with an interest in healthy diet and exercise, vitamins and a natural approach to health. Thus, when a series of family health crises occurred, she sought the help of a Naturopath whose deeply healing therapies inspired Kathy to study naturopathy and homoeopathy. Later, the attainment of a Masters degree in Western Herbal Medicine enabled her to integrate her love of teaching with her passion for clinical practice and she has lectured for 15 years at the University of Western Sydney, Nature Care College, Sydney College of Homoeopathic Medicine and Endeavour College, Sydney campus. 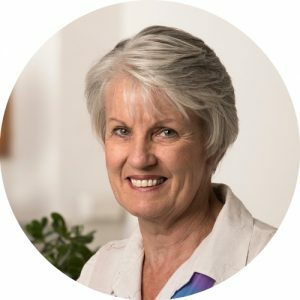 Kathy’s other publications include: autoimmune disease chapter in the major text for naturopaths Clinical Naturopathic Medicine (1st and 2nd editions); article on Graves’ disease in the Australian Journal of Medical Herbalism; various articles and chapters in Nature and Health, Informed Voice, Journal of Complementary Medicine and Challenging Children. The focus of Kathy’s writings is to outline how a holistic naturopathic approach can assist in complex health issues. Family is Kathy’s most precious hobby, especially two captivating little granddaughters. Kathy loves to constantly learn about health, in-between sharing meals with family and friends, pottering around her favourite city and its beautiful foreshores, sipping an organic red wine or curling up with a podcast or a good book.